Pump and dumps have been going on since the beginning of the stock market and are most prevalent amongst penny stocks. The hard mailer is one of the most used avenues to pump a stock. The company themselves, affiliates, or large shareholders pay millions of dollars to mail out glossy 20 page reports trying to dupe investors to buy the underlying stock so they can sell their positions or conduct a financing. Just like gravity, when a hard mailer pushes a stock up, the buying eventually ends and they always crash back down to Earth. 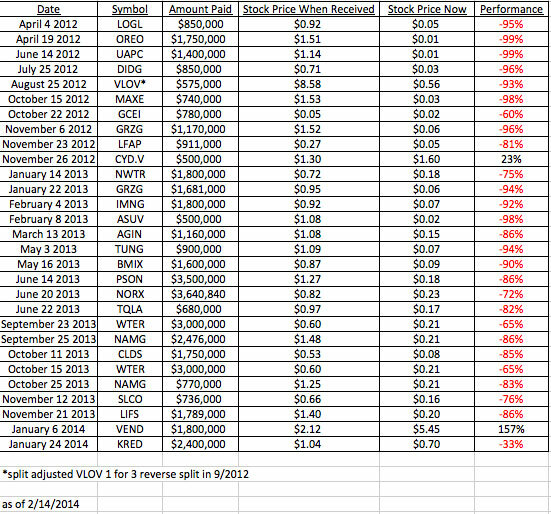 Here is a performance matrix of every hard mailer I’ve received at my home over the past two years. As you will see, time is a pump and dumps worst enemy. Overtime many of the companies that were involved with hard mailers ended up going to zero. 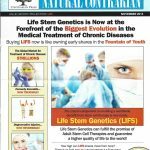 Many hard mailers look like this one below, which I received on November 21st on Life Stem Genetics (LIFS). 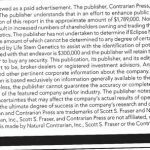 You will see in the disclaimer the cost of production for the hard mailer. Of course, the stock is down 86% since I’ve received it.